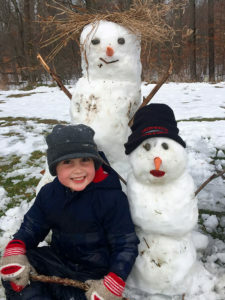 Oliver Bartholomew, of Nelson Township, recently had fun creating a crazy snowman family. He is shown here with two of the four he created. Do you have a winter fun photo you’d like to share? Send it to news@cedarspringspost.com, with some information about the photo. We will run photos as space allows.